This entry was posted in Challenges, Drafting, Sewing, Skirts. Bookmark the permalink. I love that! Love the way the shirring makes the ways appear to get longer as they go down! I’ll have to take up shirring! Ah that skirt is beautiful Elizabeth! Enjoy your weekend…you will have plenty when you will be able to sew the time away…and Jack will really love being outdoors and hanging around! I too made a skirt. 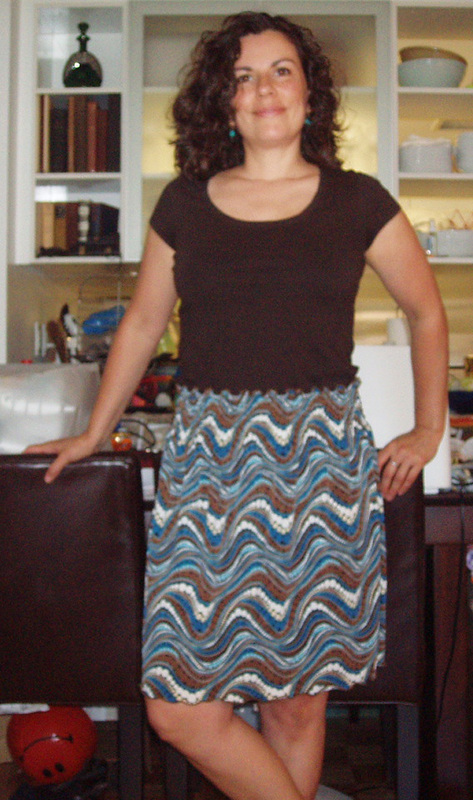 I used my TNT straight skirt pattern, adding a bit to the front (cut on a fold) and leaving the darts open. Used a bright cotton print, added inseam pockets and then a separate casing for an elastic waist. It’s bright and comfy and good for summer, I hope! 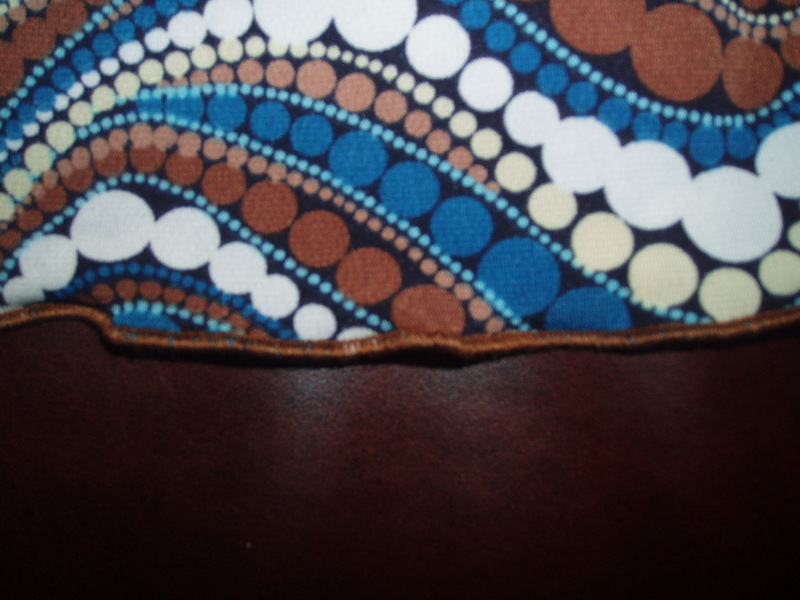 I also lined mine with tricot (what cheap slips are usually made out of) as the cotton is a bit thin. I’m really happy with the way it turned out and if the weather warms up enough (I’m in Edmonton, Alberta Canada) I’ll get to wear it. My hint to make the shirring a smidge more stable- when I’ve made little sundresses for the nieces like this, I took thin (1/2″) elastic, stretched it along the top, and did a zig zag over it. That gave the top of the shirring a bit more strength & stability. Supercute! I think the fabric you chose is perfect for this project. 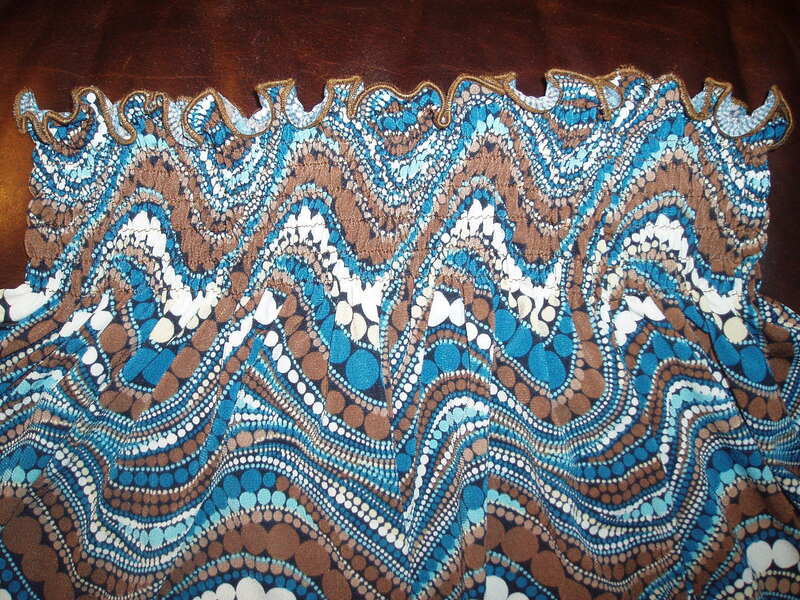 Your skirt turned out great, the fabric is gorgeous. I admire your patience mastering the rolled hem, I haven’t got there yet! Great skirt! I love the print and the rolled hem is fabulous! Once you get a serger rolled hem going it is so brilliant. But it takes experimenting to get there. I love shirring! Your skirt came out very cute. The skirt is quite lovely and the shirring and rolled hem are the perfect finishing touches! You look terrific – what a beautiful, fresh, flattering, and beautifully matched outfit. Kudos to you.